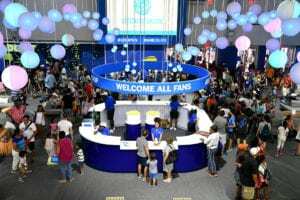 The 20,000-square-foot American Express Fan Experience offered cardmember perks, creature comforts, activations for kids and more. 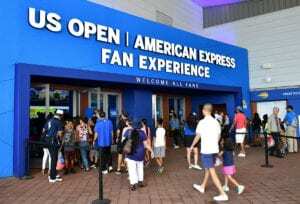 Amid the throngs of tennis fanatics, scorching temperatures and epic lines at the 2018 US Open, Aug. 27 to Sept. 9 in Queens, NY, a refuge awaited fans and cardmembers alike at the American Express Fan Experience. For 25 years, the financial services giant has partnered with the USTA to deliver exclusive cardmember benefits and fan experiences fueled by cutting-edge technology (look no further than last year’s Air Tennis activation for proof) to engage the more than 700,000 tennis fans that descend on the Billie Jean King National Tennis Center each year. 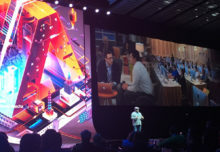 And once again, Amex lived up to its reputation, offering attendees everything from an AR-based Super Rally experience, to luxurious cardmember lounges to progressive payment technology. Here’s the breakdown. 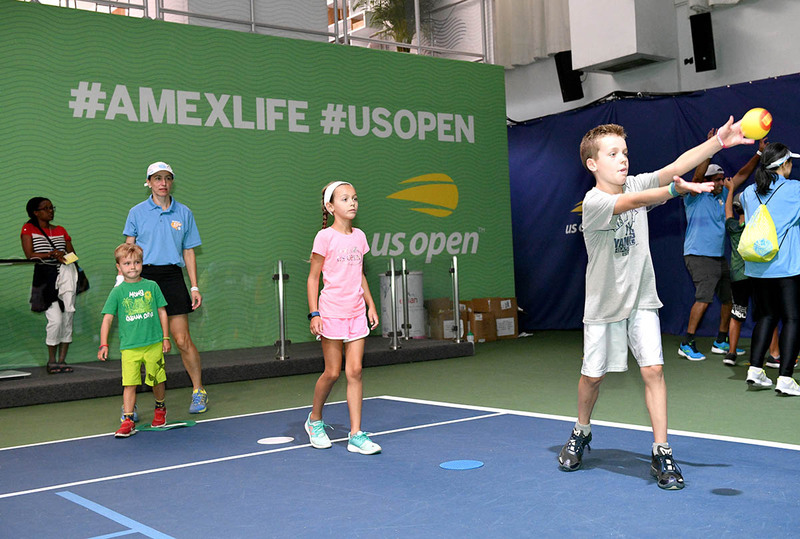 On the ground floor of the 20,000-square-foot Fan Experience, any US Open ticketholder could cool down in the air conditioning, watch matches on enormous screens and check out the Fan Court, a full-sized tennis court where they could meet pros, enjoy photo moments and participate in instructional tennis drills designed for all ages. The pièce de résistance, however, was the Super Rally experience. 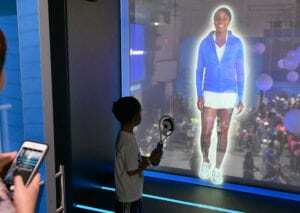 The interactive game gave attendees a chance to play tennis in both the digital and physical worlds thanks to augmented reality. 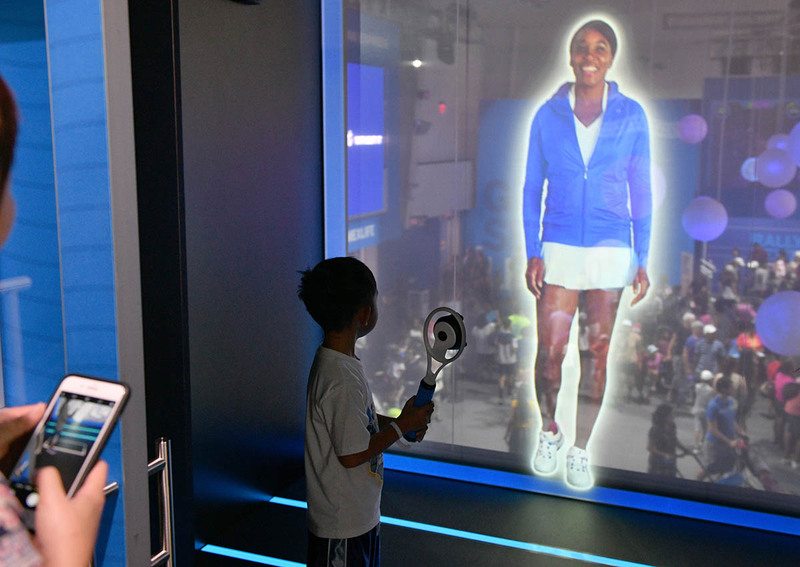 Participants stepped in front of transparent, life-sized monitors where they first received instructions on how to play from a digital version of long-time American Express partner and tennis legend Venus Williams. 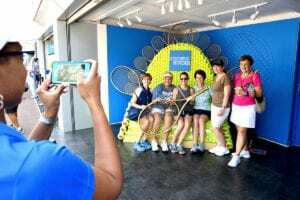 Fans then used 3D-printed rackets to rally digital tennis balls against physical targets on the screen. 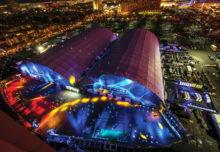 And here’s where it gets even better: the targets that participants aimed for were powered by reactive light orbs hanging from the ceiling in the center of the Fan Experience, allowing players to watch as their shots interacted with the installations. 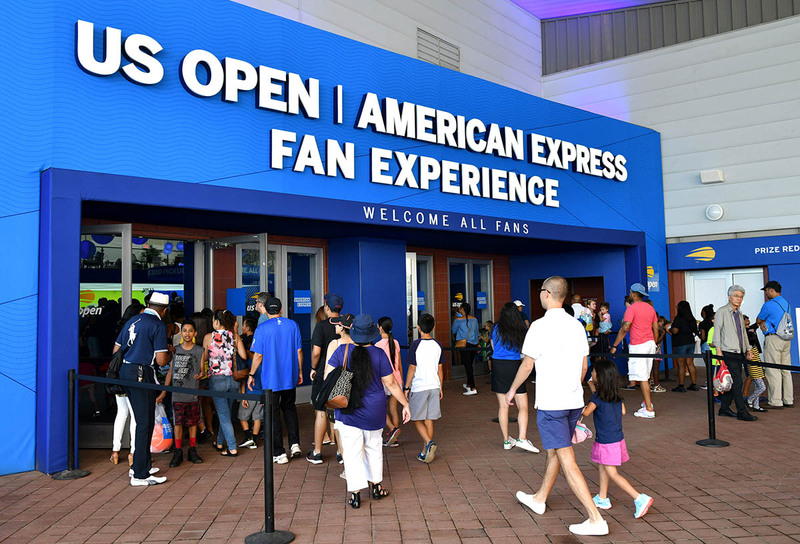 Located on the second floor of the Fan Experience, the American Express Card Member Club, available to all cardholders, offered a luxurious escape from the chaos of the tournament. 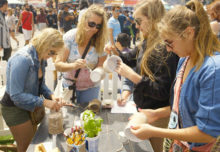 Attendees could lounge on comfy furniture, get their hair done at a DryBar station and rejuvenate themselves at the Refresh Bar, which offered everything from sunscreen to refreshing face wipes to body spray to help battle the extreme heat. They could also juice up their devices with complimentary chargers, watch matches on one of the two screens, shop for exclusive gear from the US Open Collection and buy an array of food and beverages. 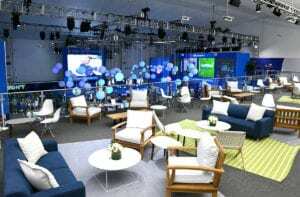 New to American Express’ sponsorship this year was the debut of the Centurion Lounge inside the brand new Louis Armstrong Stadium. 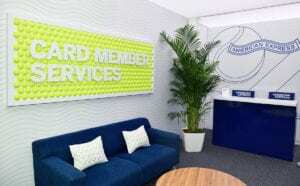 Inspired by the brand’s Centurion airport lounges, the space was open to Platinum and Centurion cardmembers who were treated to first-rate hospitality. The suite served as the first exclusive space for premium cardmembers attending the US Open, prompting high demand throughout the tournament. 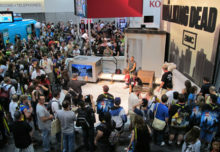 Inside the suite, attendees were offered complimentary water, snacks and small bites, as well as one alcoholic drink, courtesy of the brand. 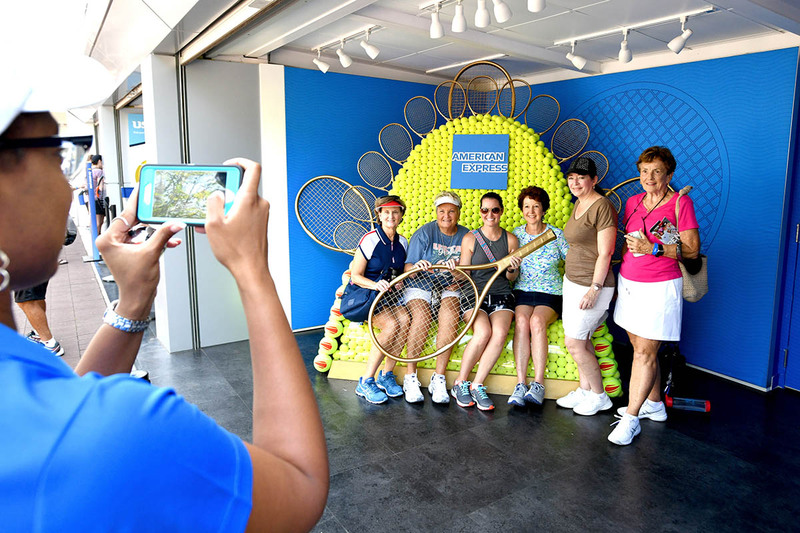 They could also watch matches on flat-screen TVs, take advantage of free WiFi and private restrooms (a serious perk at the US Open), charge their devices and participate in a photo op. What’s more, a curated dish created by Cédric Vongerichten, executive chef of the Centurion Lounge at LaGuardia Airport, was served, as well as wine pairings hand-picked by Centurion Lounge wine director Anthony Giglio. As the official payments partner of the tournament, American Express offered cardmembers a contactless payment option with the launch of the Amex Band. 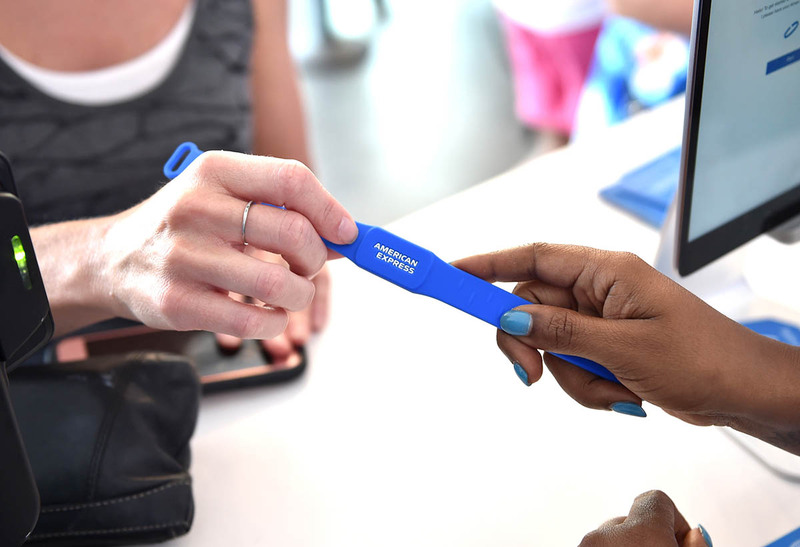 The wristband, which was linked to customers’ Amex cards, could be picked up at a number of locations. 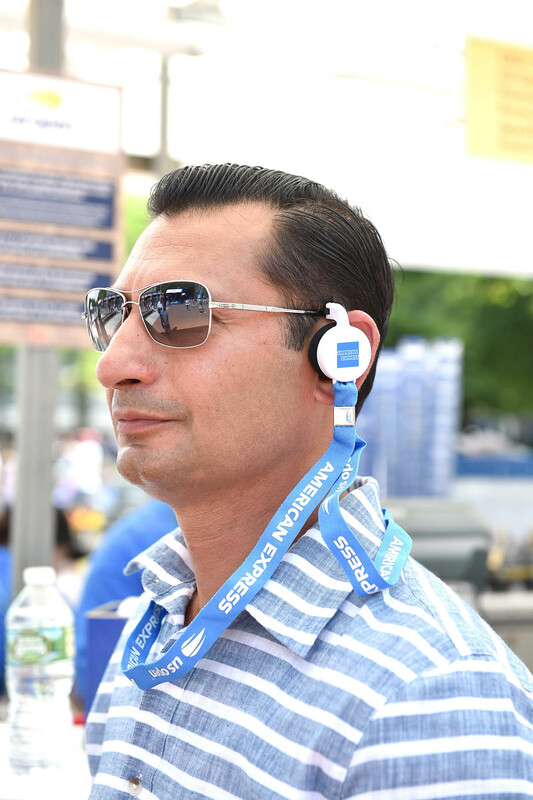 Perks included quick and easy purchases of concession items and merchandise; access to the American Express Card Member Club and Centurion Suite; access to free American Express Radios providing live commentary and updates from ESPN and a $20 cash back offer activated after spending $100 at participating on-site merchants. 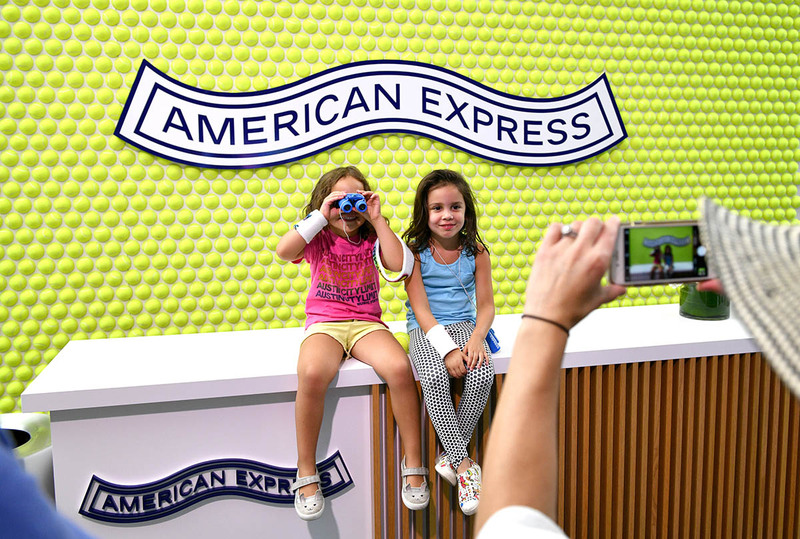 Additional sponsorship touchpoints included American Express guest information booths featuring large touchscreen maps scattered throughout the grounds, tennis-themed installations leveraged for playful photo ops, free bag-checks for cardmembers and integration with the official US Open mobile app. 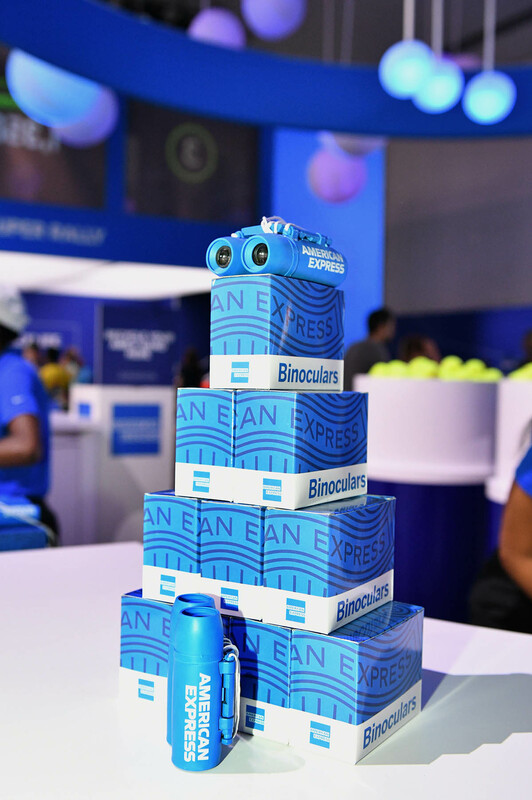 “With American Express being a service brand, we’re really all about how can we come in and enhance the fan experience overall for both fans as well as well as our cardmembers,” says Ulrey. “How can we play a role in their journey, in their experience at the US Open so that they leave saying, ‘my day was better because of American Express.’” Agency: Momentum Worldwide, New York City.